The world of make-believe is a wonderful part of childhood, and research has shown that a big imagination is a key indicator of academic success, resilience, and happiness. While some children are more naturally imaginative than others, every child enjoys flights of fancy on occasion. As a parent, there are ways that you can encourage the development of your son or daughter’s imagination. 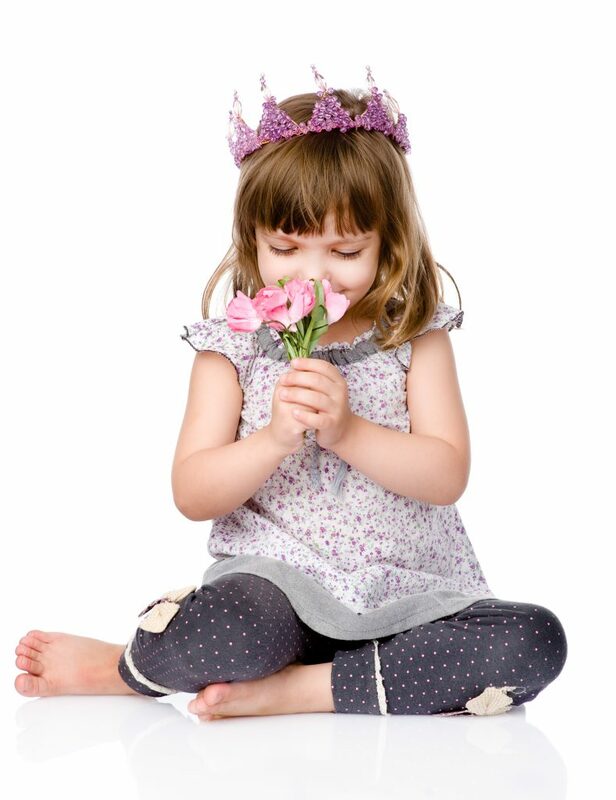 Here are four ways to inspire your child and invite them into the world of make-believe. When possible, avoid the toys that do all of the work for your child. If it sings, talks, and gives directions, there isn’t much more for your child to imagine. The same goes for screentime: while absolutely fine within reasonable limits, try to reserve screentime for special occasions or only a small time per day. Instead, offer your child toys and activities that allow for creative expression and interpretation. Building materials, dolls and action figures, costumes, and “real world” toys (like play kitchens or workbenches) are all great options. These sorts of toys allow your child to create their own worlds. While your child may love to play make-believe, this sort of play is always more fun when you aren’t alone. Find opportunities to invite your child into an imaginary world with you. Maybe you make up a story and ask them to help you fill in the details. Or perhaps you become different animals as you walk around the house. There is no right or wrong way to play make-believe. It can even be integrated into your daily routine. How fast could a monkey brush his teeth? Let’s pretend to be bulldozers and clean up these toys! Any activity that captures your child’s imagination will draw you closer together and spark their own new ideas. Picture books are wonderful and capture a child’s imagination in their own unique ways. Chapter books, however, invite your child to imagine a whole world all on their own. As you read about Charlotte and Wilbur or Ralph S Mouse and his motorcycle, the characters come alive in your child’s mind. It may be hard for your small child to sit still as you read these longer books to them. For this reason, they are the perfect addition to your daily commute or mealtimes. Most libraries have audiobooks available to borrow. Simply play the stories while your child is riding in the car or eating their breakfast. This gives you something to enjoy together at a time that might otherwise feel rushed or disconnected. Another great way to encourage your child’s imagination is to take them to live theater performances. Roswell has many options available for children and families. For instance, the Roswell Cultural Arts Center regularly presents puppet shows, concerts, and plays for families. Additionally, many different local organizations put on dance recitals or musicals like The Nutcracker each year. Seeing these performances will certainly encourage your child’s love of make-believe and encourage her to put on performances of her own. Every child will make-believe in his or her own way. It may be princesses and dragons, a pretend restaurant, or more art projects than you could possibly store. As a parent, you want to foster that joyful creativity and give your child the opportunity to express it freely and often. By following these simple ideas, you will be giving your child a great gift. And who knows, you may find that you really love make-believe, too. If you are looking for high-quality childcare in a facility that encourages imagination and discovery, look no further than Legacy Academy Roswell. We help the children we teach become the best version of themselves.